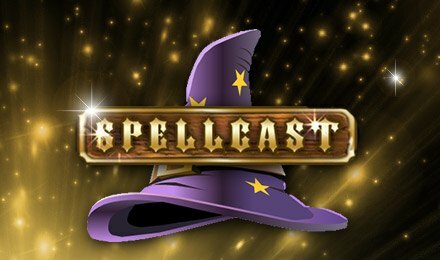 Spellcast slot powered by NetEnt, offers 5 reels and 20 paylines! This magic themed slot game brings symbols like wizards, crystal balls, creepy castles, witches, magic potions, spell books, wands, A, K, Q, J, 10 and 9. On the reels of this lightening surrounded slot grid, you will benefit from game bonuses and features that will enhance your gameplay! On the screen, adjust your bets by toggling the left or right button on the Coin Value Field. Also, set your bet levels on the Level Field. Autoplay is at hand, and allows you to select from 10 to 1,000 spins to play hands free. Use the Max Bet button to set the max stakes and levels without having to do it manually. Bet Levels: Select your bet levels as from 1 to 4. Coin Values: Bets range from £0.02, £0.05, £0.10, £0.20 and £0.50. The wizard is the wild of the game, and replaces all symbols except the scatter. Wins that feature the wild symbol doubles the outcome of that spin. 2, 3, 4 or 5 wild symbols on a payline award you 0.5x, 12.5x, 125x or 500x your stake correspondingly. The scatter symbol is the Crystal Ball, which awards 2x, 5x, 25x or 500x your stake for 2, 3, 4 or 5 symbols. Landing three or more of these symbols anywhere in view award 15 free spins. Wins generated from this feature are subject to a 3x multiplier. Landing more scatters during the play of the feature retrigger the feature! Enjoy Spellcast slot by NetEnt at Moon Games Casino for hours of entertainment and possible big wins! Launch the game on your mobile, desktop or tablet and enjoy spinning the magical reels while you’re on the go!